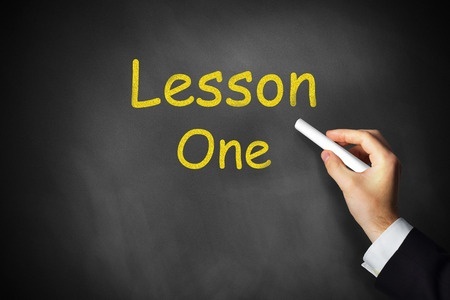 3 Early Lessons From the Christian Faith Survey « Mike Henry Sr.
Over 400 people went to the page and started taking the survey. Some didn’t complete it, so in the end, we’ve had over 390 complete responses. I really don’t think I meant to be. I’ve been a Christian for 27 years. The purpose I stated in the first post I made introducing the subject was that I wonder what difference the Christian faith makes in the world today. About a dozen people who have taken the survey so far have pointed out that the survey is pretty biased. If I could, I would change the first two questions and find out more about all faiths, or at least all of the faiths I could list. But in the end, my goal is to write a book that helps Christians understand how we’re perceived in the world and why. That’s why the questions are what they are. The survey also branches. I asked Christians different questions based on whether or not they work full-time for a church or para-church organization. I asked non-Christians different questions too. Most often the non-Christians are the people who feel like I’ve equated Christian with “Faith”, but some Christians said that too. I’m sorry. That was not my intention. I am curious how the Christian faith is perceived. I should have titled the survey differently. A number of respondents that took issue with my focus on Christianity didn’t choose to leave me any contact info or give me permission to follow up with questions. If you have an issue with the survey, please contact me. I’d appreciate understanding how you think it should have been done. I won’t try to convince you to come over to my way of thinking. I’d just like to understand another way of doing it. Many people who even encouraged me with the survey didn’t want me to follow up. So I won’t. But I’m happy to dialogue with anyone on this subject. You can comment below and I’ll definitely respond. This is not a pitch. I’m not building a list. Very few of us wants to be “sold” anything. Most of the people who have responded, whether Christian or not, agree that trying to “push” a belief on to others is not a good thing. When we tally the results, I believe a large number of the people taking the survey, regardless of their faith, will make some kind of comment that people shouldn’t push their beliefs on others. Also, a large majority of us seem to appreciate authenticity. For the non-Christians who responded in the survey, many did not appreciate being forced into conversations or having people be repetitive in their approach. It’s easy to understand how people may be offended by Christians who think that if they talk often or loud enough, they’ll “convert” someone. Many have stories of how a Christian was offensive in their approach. Many Christians also spoke about how Christians shouldn’t force their beliefs on others and how we shouldn’t use company time or company resources. Many of the Christians who commented even said that we should wait to be asked, and then only use non-company time to talk with others. If this is so important, then we shouldn’t spend our company’s time or money on it. We should spend our own. Authenticity always counts. We have a radar that senses authenticity. I learned it matters in leadership and it matters in faith. In the end, the only way we can disagree and remain friends is to be sincere and authentic. Everything else is pretense. If you haven’t taken the survey, would you? It’s right here. And if you have, would you please take a minute and share it on Twitter or Facebook or by email? Thanks again for taking part.